I suspect all of us who visit the world of Jonathan Livingstone Seagull will never want to return. Less than one per cent of the entire Namibian coastline offers sheltered and shallow water favourable for large concentrations of shore birds. The shores close to Lüderitz, Sandwich Harbour and Walvis Bay offer these conditions and are therefore the mainstay. Of these three, Walvis Bay is probably the most accessible for humans and, as far as quality and quantity are concerned, it is a major birding hotspot. 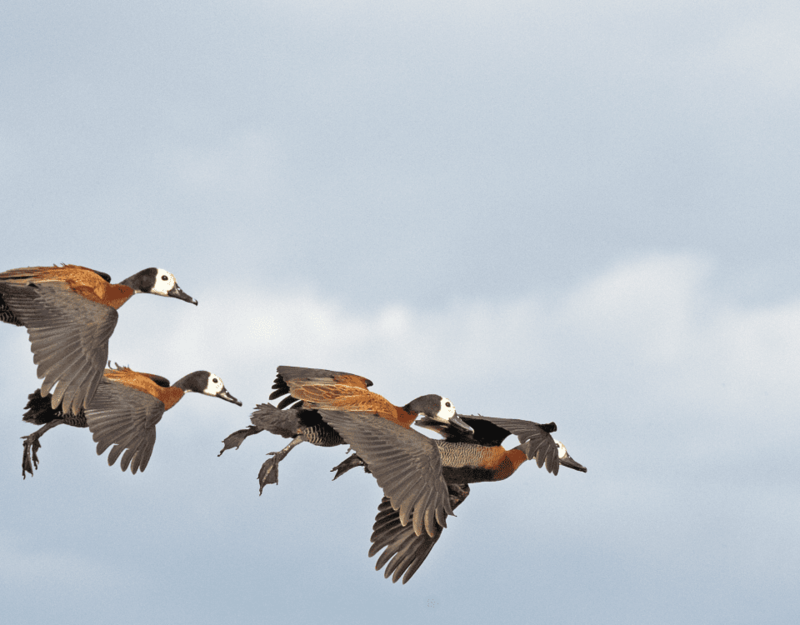 While the coastline of Namibia is well known for its gems in the form of diamonds, in terms of birding the Walvis Bay lagoon is as much a gem as any birder could possibly wish for. Even if you’re not a bird-watcher, you can’t help but be impressed by the sheer numbers (up to 150 000 birds at a time) of birds congregating here during the summer months, transforming the lagoon into a beehive of activity. The ideal time to visit Walvis Bay is from October to April, when the migrant birds have moved in from the northern hemisphere in their thousands. 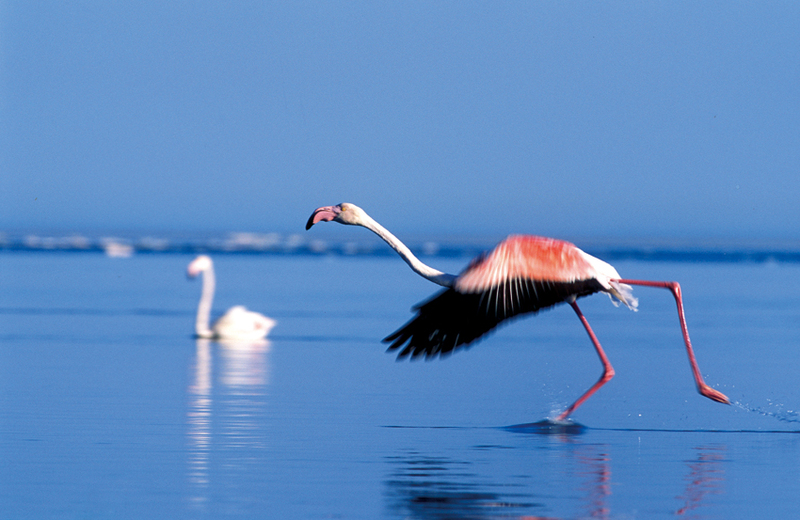 At any given time during summer, flamingos make up more than two thirds of the numbers, lending colour to the scene. I should probably confess here and now that I’m a slightly sceptical shorebird-watcher. One of the reasons is my limited knowledge of shore birds. The main reason, however, is the somewhat monochrome colour scheme of the outfits these birds wear, although, apart from the pink of the flamingos, there are a few red bills and yellow legs to brighten up the scene. Walvis Bay and Sandwich Harbour have been designated as Ramsar Sites, the objective being to protect and conserve important wetlands around the world. Incidentally, there are three annual bird counts at Walvis Bay. Unfortunately I am not qualified to join these expeditions, as I do not have the necessary credentials. These are in short: you have to be able to count; you have to know what a bird is; you have to get up early in the morning; you have to be able to endure cold, wet and windy conditions; and you have to be a beer drinker, because after each outing you get one free with your lunch. However, I’m sure that any enthusiastic birder will be more than welcome to join this endeavour. Because the flamingos make up the bulk of the birds at the lagoon, it is appropriate to mention a few important facts about their presence. Greater Flamingos constitute more than 80% of the total population that visit Southern Africa, and Lesser Flamingos more than 90%. Incidentally, this year there was not a single Lesser Flamingo at the lagoon, probably because of a good inland breeding spot with sufficient water and food for their entire summer sojourn. 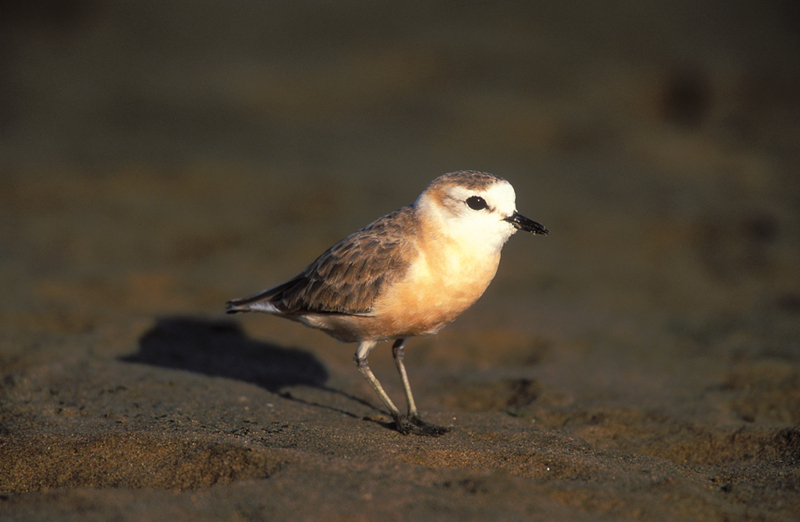 The other politically important migrant is the Chestnut-banded Plover, which represents up to 97% of the total Southern African population. I must confess that, to my dismay, I’ve not seen them on any of my visits. I should probably join one of the bird counts. As for the waders, I’m convinced that God made them for the serious birders, those with long beards, thick glasses and long spotter scopes, to kill time on the esplanade around the lagoon. Apparently it’s quite easy to identify them, the waders that is, not the serious birders. All you need to do is watch how they move, what shape they are, how long their bills are, in which direction their bills are curved, and what colour their legs are. So really it’s quite easy; just go for it and enjoy yourself. (You can even use this to i.d. the birders). Great white pelican. Photo ©Pompie Burger. The birding options at Walvis Bay are the lagoon, the salt pans further south and the sewage works to the east of the town. We were fortunate to see an African Purple Swamphen in the reeds at the sewage works, but it could just as well have been an ‘African Painted Purple Gull’. The options on how to do your birding are endless. If you’re a fitness fanatic, you can either do it on foot or on your bicycle. If you’re a lazy birder, you do it by car. For the water-sports fanatic, a kayak offers exciting birding, especially if there’s a bit of a swell. However, look after your camera when you’re in one of those little boats. There’s also an option for cholesterol pumpers, who can join one of the chartered cruises. These, in addition to viewing seals and dolphins, offer the additional luxury of seeing offshore birds such as petrels and skuas between swallowing delicious oysters. Joining one of these trips will enable you to see birds such as Kelp Gulls and Great White Pelicans, and if you’re lucky, even a Cape Gannet flying alongside the boat. Admiring their flying ability at close quarters will make the whole Jonathan Livingstone Seagull thing even more of a reality. Intra-African migrants make up the majority of these birds, namely the two flamingo species, Chestnut-banded Plovers, Pied Avocets, Cape Teals and Black-necked Grebes. European and northern Siberian migrants travel between 10 000 and 14 000 kilometres to reach Walvis Bay each year. These long-distance travellers consist of Curlew Sandpipers, Sanderlings, Grey Plovers, Ruddy Turnstones, Little Stints and Knots. 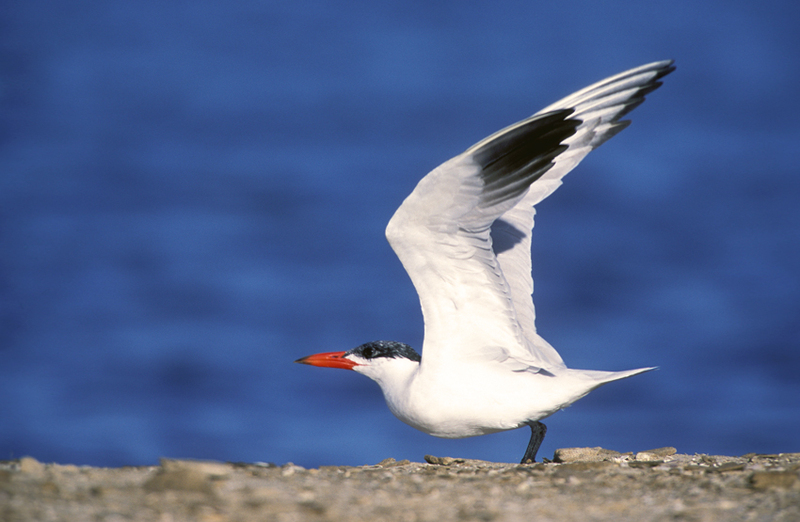 Other shore birds that visit Walvis Bay are Palaearctic terns, consisting of Common, Sandwich, Arctic and Black Terns. Resident birds are less numerous but no less important, for instance the huge Great White Pelicans, Caspian Terns, Damara Terns, Great Crested Grebes and Cape Cormorants. Red Data (endangered) birds include the Swift, Caspian and Damara Terns, Hartlaub’s Gulls, Great Crested and Black-necked Grebes, the Chestnut-banded Plovers and the flamingos. If by any chance you want to see real birds, you can see the odd Southern Pale Chanting Goshawk and even a Rock Kestrel a few hundred metres inland. If you’re a serious ticker, you might get lucky further inland and see Namibia’s only true endemic bird, the Dune Lark. 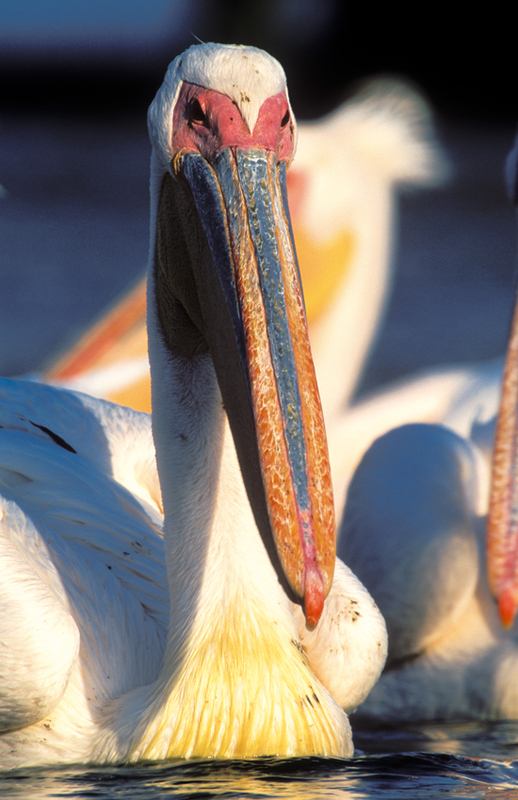 In the context of the total number of shore birds, Walvis Bay is the most important coastal wetland in Southern Africa, and the second-most important in Africa. I suspect you’ll also never want to return once you’ve visited the world of Jonathan Livingstone Seagull at Walvis Bay. This article was originally published in the January 2008 Flamingo magazine. This is soo interesting. Its is exactly what I learned from my lecturers when we went for tge excursion at Swakop and Walvis. I love nature, thats why Im studying to be a nature conservator!